This 1898 sq. 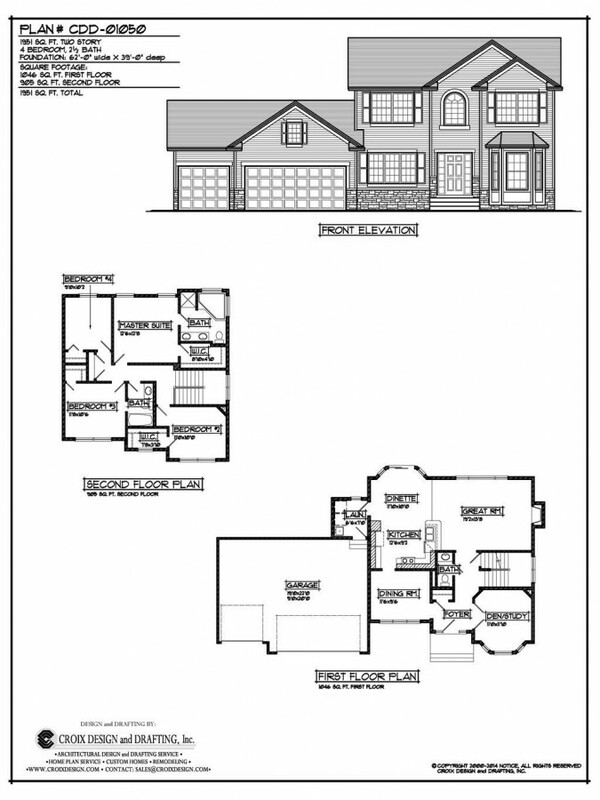 ft. home features a stacked plan perfect for smaller lots. 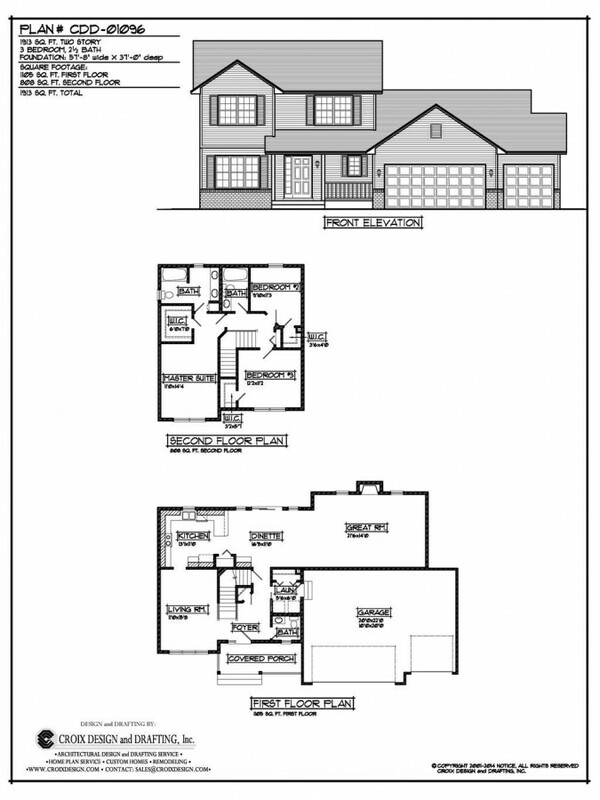 The first floor begins with a living area to the right and formal dining area to the left of the foyer. 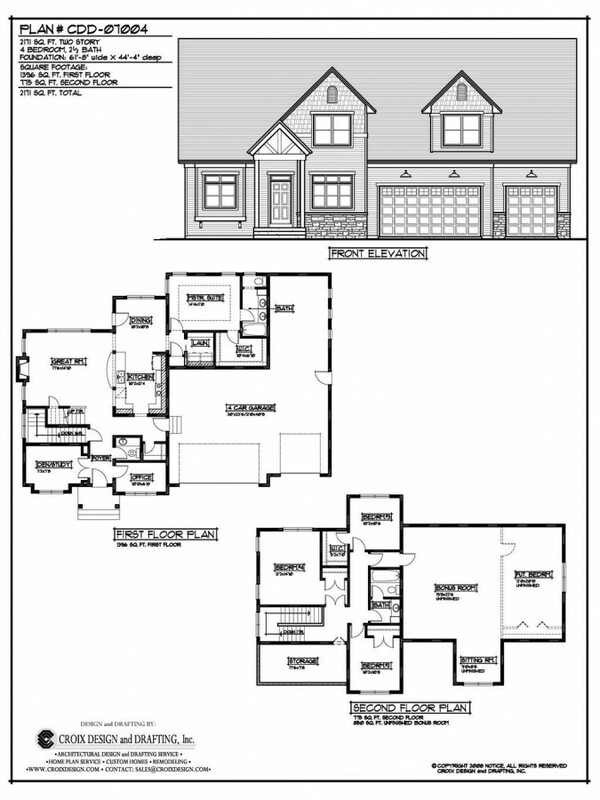 A half bath lies off the central hallway which opens to the great room. The dining area wraps into the kitchen. 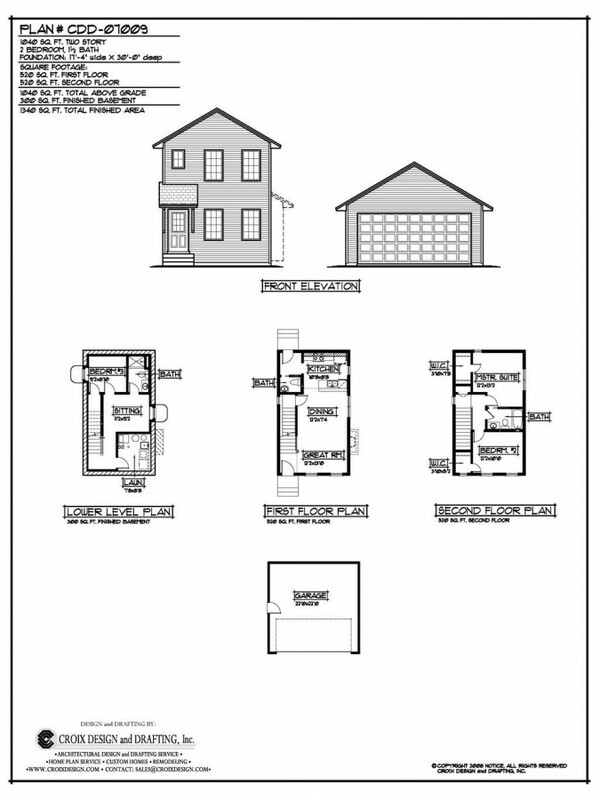 The second floor features two bedrooms to the front of the home, as well as a full bath. 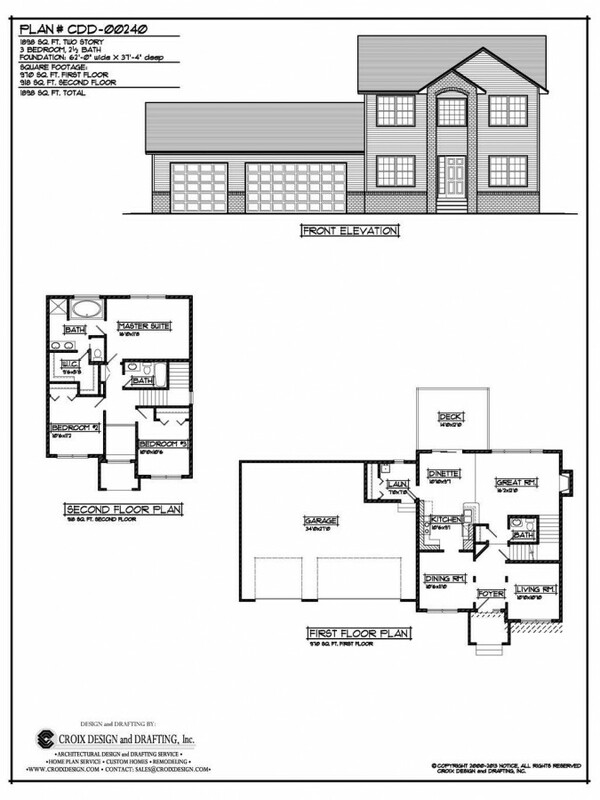 The rear is composed of the master suite, luxury master bath and spacious walk-in closet.